Welcome to my website! I am a vertebrate paleontologist who specializes in the study of the tracks and traces of Mesozoic animals, specifically Cretaceous-age (145 million years ago to 66 million years ago) dinosaurs and birds! I have worked as a Collections Manager and Curator for the Peace Region Palaeontology Research Centre, a non-profit research, archives, and display facility (a.k.a. a museum) in northeast British Columbia since 2004. 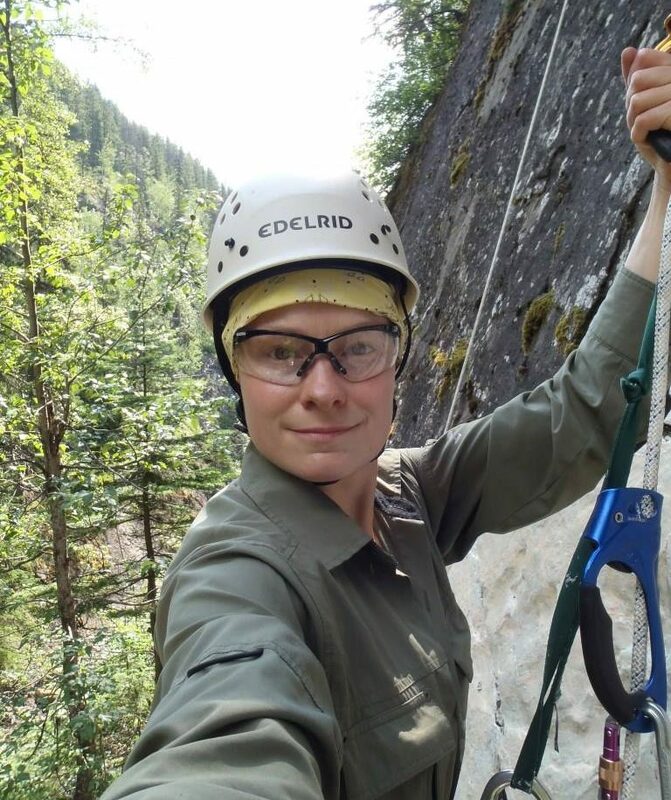 Much of the research on the tracks and traces of dinosaurs and other vertebrates in British Columbia takes our research team into the remote wilderness for extended periods of time. I also compare the dinosaur and bird tracks found in western Canada to similar-aged tracks from around the world, including Australia, China, Germany, South Korea, Turkmenistan, and the United States. Jindongornipes, an Early Cretaceous bird track from South Korea. Part of my research is using the tracks and traces of present-day birds to find out what information about the diversity and behavior has the potential to be preserved in the fossil tracks of extinct birds. Observing present-day birds making tracks and traces in their natural habitats is the perfect living laboratory in which to test ideas about the behaviors and diversity represented by fossil bird tracks. Unknown gull footprint, with drag marks showing the gull coming in for a landing, South Korea. Prospecting 130 million-year-old rocks for dinosaur tracks in northeast British Columbia (left); Gypsichnites (small herbivorous dinosaur) tracks from near Hudson’s Hope, British Columbia (right). This site provides a summary of my research and social media experience, as well as information on my paleontology consulting experience. Please use the Contact page if you would like more information.